Stunning look ! 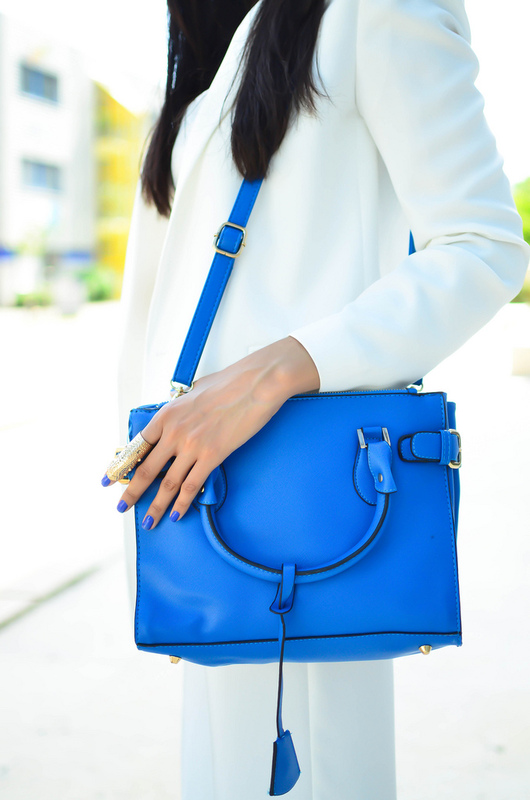 Absolutely love the royal blue accessories on the white look ! Perfect outfit, you look amazing!! mmuuuuito linda, adooreei o look e as fotos ficaram um arraso! To apaixonadaaa pelaa bolsa demaaais!! You look gorgeous with this white look!! Love the bag!!! Such a gorgeous outfit!! You look amazing and I love how bright your nailpolish and bag is! Hello there,Ciao...what a Dream Style! LOVE the cobalt touches. Those shoes. Such a pretty face ♥ Love your style and photographies ! You are so beautiful! Love the way you combined blue and white. Gorgeous photos :) Your shoes look so gorgeous! I think you showed just enough skin that it looks classy! You managed this crop top trend in a perfect way <3 Looks so elegant and stylish at the same time! I love your pants, I have similar ones and I LOVE all your pictures. The pop of electric blue is so refreshing!! Wow!! looks amazing. The crop women top is in vogue now. Flawless! Your photos are fantastic.